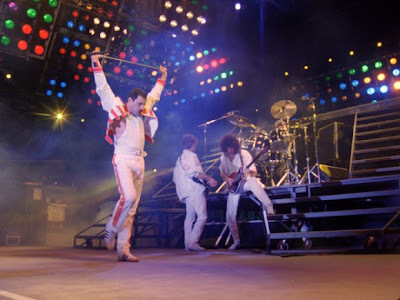 Freddy Mercury is a shooting star; glorious for the short time you get to witness him in motion, but gone too soon, disappearing into darkness. Queen fans are already aware of the majesty of their leading man but newcomers will find this cinematic outing just as dazzling as the 80,000 strong crowd did in Budapest back in 1986. 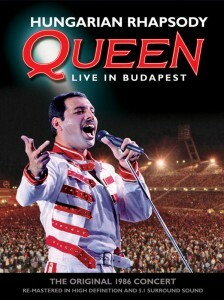 Hungarian Rhapsody: Queen Live In Budapest begins with a short documentary that details the lead up to the Budapest concert. It features archive footage of rehearsals and recording, interviews with the band and behind the scenes access as they hit the road on tour. It is interesting stuff, though nothing new to Queen fans who know the history of the rock legends. Read the full review of Hungarian Rhapsody at Filmoria.